For about the last 3 months or more I have been practically Energy-less (! ), though Ideas were in my mind for me to write a Hundred posts. Clearly I needed a Secretary. 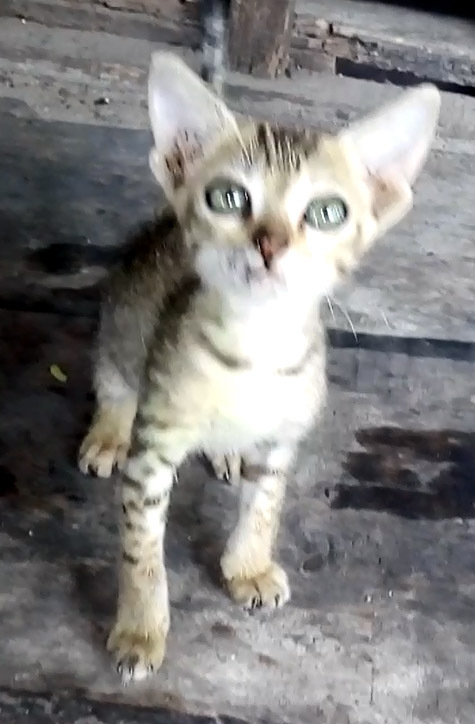 As I can pay only about 5 rupees a day, and as that salary would have been unacceptable to Hoomins, asked my (latest) Kitten if She/He (I am not sure of this) would take up the job. With a Royal Meeow, my request was declined. As I am currently writing a booklet in Tamil, days find me slugging at it, a few hundred words at a time. Previous Happy Easter, my Friends! But afraid of Cats? That’s a new one! But, Cute Kitten or not, my Mirror just told me that Himali is the Cutest of them All! Dogs are Aggressive, my Dear Himali, as they stake out their own ‘territories,’ and defend them. Cats, on the other hand, try to find homes and owners (for the most part). Males do not like interference during the mating season, and would Snarl and Show their teeth, but even then, I have found that we can Shoo them off. I would not be good to ‘Corner’ a Cat (or any creature, for that matter). Cats have got Two tendencies: Rubbing themselves against us, which is a sign of ‘Cozying’ up to us, and secondly, once they become part of the ‘family,’ walking in front of our very legs, which is their signal demanding food, (at least in this part of the world)! If we let them be, I do not think they would bite or scratch. In any case, keeping a small bottle of water, and spraying that on them chases them away, every time!